Write to Mumia Abu Jamal, who has endured over 30 years of death row isolation and prison brutality and continues to be imprisoned after suffering a blatantly unjust trial. Offer words of support and encouragement to heighten his morale. Also visit http://www.freemumia.com/how-to-help/ to find other ways to support him. Mumia Abu-Jamal, an African-American writer and journalist, author of six books and hundreds of columns and articles, was convicted and sentenced to death in 1982 for the murder of Philadelphia Police Officer, Daniel Faulkner on 9 December 1981. Following the October 2011 US Supreme court ruling, his death sentence was vacated and he was later placed into the general prison population by January 2012. His demand for a new trial and freedom is supported by many distinguished and notable including politicians, human rights advocates, religious leaders and lawyers. 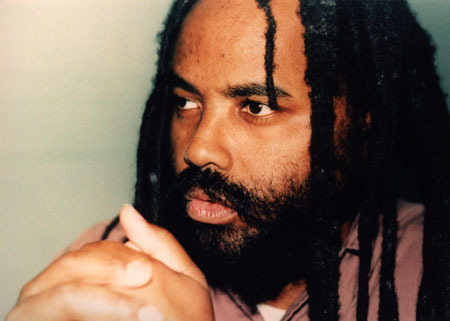 Mumia Abu Jamal’s conviction in December 1981 and ensuing sentence of death penalty in July 1982, for the murder of Philadelphia police officer, Daniel Faulkner, has created much controversy in the US as his case became a very strong representation of the ever increasing racial tension that was rife between the predominantly white authorities and the black minority. Abu Jamal has maintained his innocence ever since and has been described as the ‘world’s best death row in-mate’ as he continues to fight for his case through his inspiring writings in prison. Following the October 2011 US Supreme court ruling, his death sentence has been vacated and as of January 2012, he has been placed into the general prison population. However, he continues to fight for his freedom, supported by many distinguished and notable politicians, human rights advocates, religious leaders, lawyers and political groups. The state of Philadelphia, where Abu Jamal was born, is documented to have suffered from harsh cases of racism, police corruption, police violence leading to deaths of victims and contriving of evidence against those suspected of crime. In this arena of extreme racial bias, his political activism with black nationalistic groups and open criticism of the authorities placed him under the scrutiny of the police. He was a formal member of the Black Panther Party till 1974 and close supporter of black liberation group MOVE in his career as a radio journalist. Further, he was known to have written many articles critical of the Philadelphian authorities. 1) It was presided by trial judge Albert F. Sabo, known for his connection to the police, bias against the defence and preference for ‘expediency over fairness’. 2) Lack of satisfactory representation for Abu Jamal; he decided to represent himself in the trial as he was not satisfied by the performance of his court appointed attorney. However, the relationship between him and Judge Sabo soon became very tense and the blunt exchanges between the two eventually lead to Abu Jamal being tried in absentia for the most part of the trial. Abu Jamal’s repeated requests to be represented by John Africa were denied. 3) Lack of funds allocated for the defence to produce expert testimony on ballistics and pathology. 5) The prosecution produced conflicting evidence with many unresolved issues warranting a retrial. Thereafter, he submitted a petition for writ of certiorari to the Supreme Court of the United States on October 1, 1990 which was subsequently denied; and so was his petition for rehearing twice up to June 10, 1991. The six judges of the Supreme Court of Pennsylvania unanimously ruled that all issues raised by Abu Jamal, including the claim of ineffective assistance of counsel, were without merit. The Supreme Court of the United States denied a petition for certiorari against that decision on October 4, 1999, enabling Tom Ridge (Pennsylvania Governor) to sign a second death warrant on October 13, 1999. As a result, the execution was stayed as Abu Jamal began his pursuit of federal habeas corpus review. In 2008, the Supreme Court of Pennsylvania rejected a further request from Abu Jamal for a hearing into claims that the trial witnesses perjured themselves on the grounds that he had waited too long before filing the appeal. On March 26, 2012 the Supreme Court of Pennsylvania rejected his most recent appeal for retrial argued on the basis that a 2009 report by the National Academy of Science demonstrated that forensic evidence put by the prosecution and accepted into evidence in the original trial was unreliable. 4) in relation to post-conviction review hearings in 1995–6, whether the presiding judge, who had also presided at the trial, demonstrated unacceptable bias in his conduct. On March 27, 2008, the three-judge panel issued a majority 2–1 opinion upholding Judge Yohn’s 2001 opinion but rejecting the bias and Batson claims, with Judge Ambro dissenting on the Batson issue. On July 22, 2008, Abu-Jamal’s formal petition seeking reconsideration of the decision by the full Third Circuit panel of 12 judges was denied. On April 6, 2009, the United States Supreme Court also refused to hear Abu-Jamal’s appeal. On January 19, 2010, the Supreme Court ordered the appeals court to reconsider its decision to rescind the death penalty, with the same three-judge panel convening in Philadelphia on November 9, 2010, to hear oral argument. On April 26, 2011, the Third Circuit Court of Appeals reaffirmed its prior decision to vacate the death sentence on the grounds that the jury instructions and verdict form were ambiguous and confusing. In December 2011, the death penalty was dropped. On February 25, 2013, Mumia’s legal team filed an appeal in the Pennsylvania Superior Court challenging his sentence of life imprisonment without parole. The proceedings used to convict and sentence Mumia Abu-Jamal to death were in violation of minimum international standards that govern fair trial procedures including the use of the death penalty. Over the years, he has built up support from a wide selection of people and officials ranging from distinguished human rights organisations, to heads of state and prominent politicians worldwide. Supporters of Abu-Jamal maintain his innocence and believe he was and is a victim of a corrupt system. It can be argued that he has now become an international symbol for institutional racism and judicial abuse in the US. Continued support is needed to ensure this man’s death is not met behind bars. His experience of on-going injustice must be brought to an end and his fight for freedom must be given a fair stage. Let him not remain a life in the balance. Please write to Mumia Abu Jamal and express support. Please also write to your community or national newspaper about Mumia Abu Jamal’s case and request them to publicise it. You can also support his campaign in other ways, please visit http://www.freemumia.com/how-to-help/ to find out. I am very inspired by your life story – it is a story of extreme ambition and zeal, confidence and fearlessness and strength and perseverance. You have been gifted by Allah with potent speech and writing which you used to fight the racist authorities, you spoke up for the rights of the oppressed and you were not afraid to criticise the unjust in power. I am amazed at your courage and strength to fight for your freedom after your conviction and wrongful sentencing. To me it seemed as if the whole world was against you at one point in your trial, it must have taking immense will power and personal strength to live through those days and be as positive as you could be about life. Throughout your imprisonment, your love and support for your community has never wavered which speaks aloud about your dedication and sincerity to your cause. You have continued to benefit the community and fight against injustice behind bars through your numerous commentaries, articles and books. I really look up to you for character strength and sincerity in my cause. There is no doubt your trial was unjust by all legal standards. I am grateful to Allah that the death penalty has been lifted and I hope that you gain your freedom soon as well. Only Allah can reward you for your efforts and struggles which only He sees.